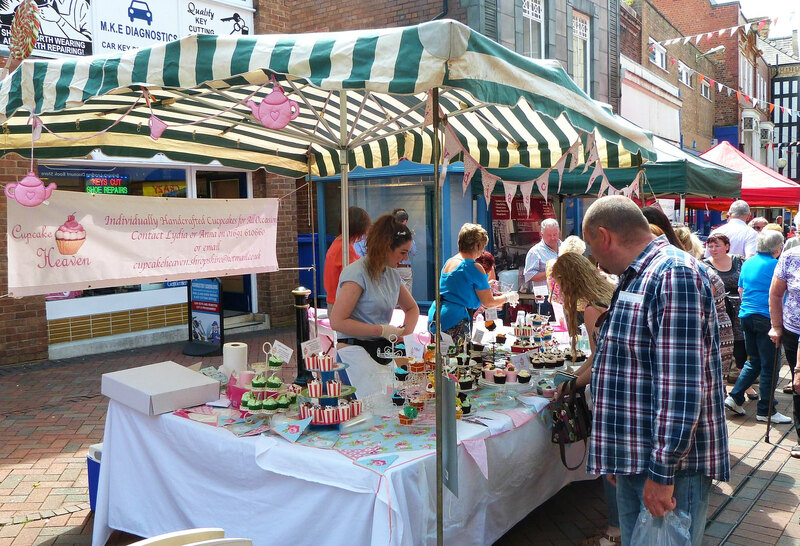 “Market town” is a term originating from the Middle Ages for a settlement that has the right to host markets. 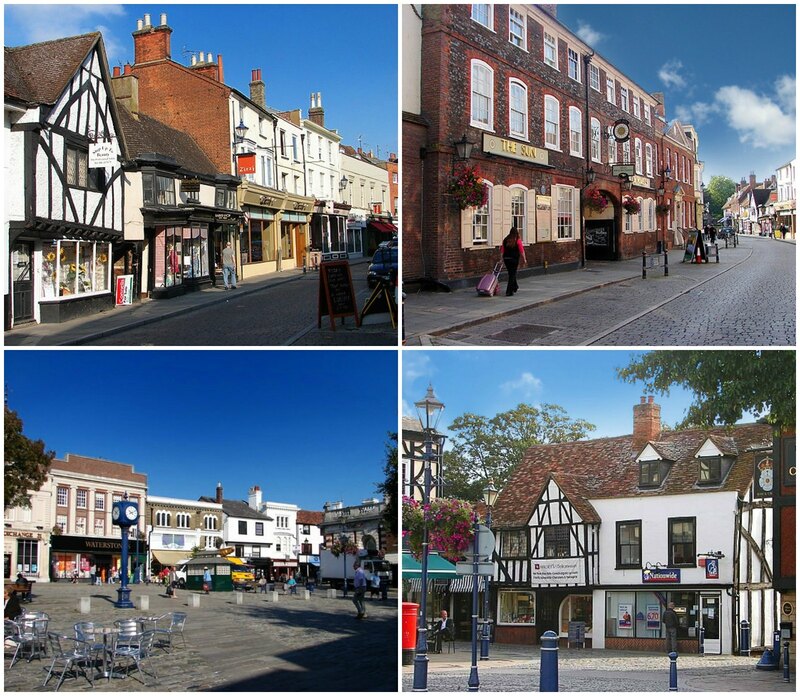 Performing an important role for the community, market towns acted as centres of trade for regional farms and villages where goods and services were exchanged. 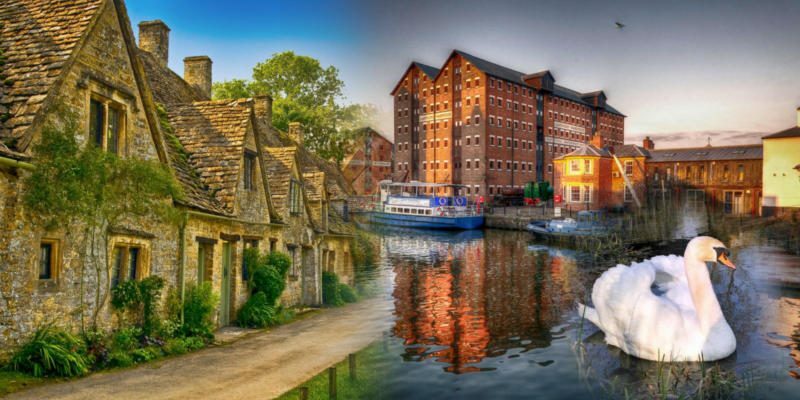 During more recent times, market towns have become desirable places to live for the well-heeled thanks to their historic significance and overall quaintness. 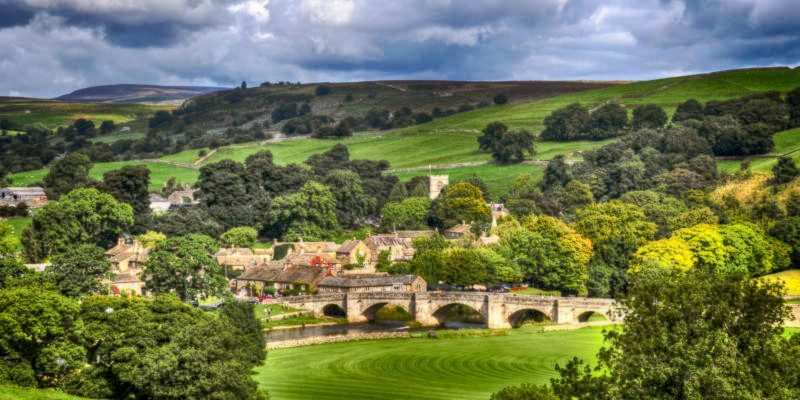 Here are 10 beautiful English market towns, each set in a different county, and each providing a perfect day trip or a weekend getaway. 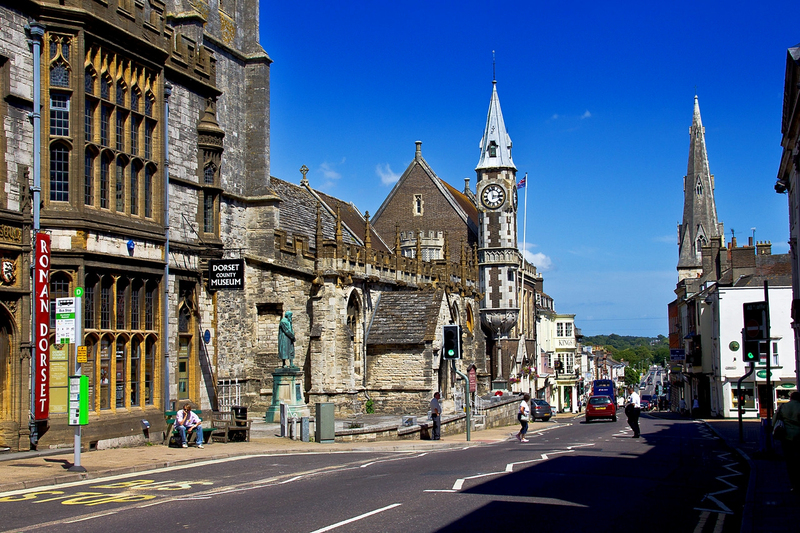 A historic market town, Dorchester sits on the banks of the River Frome to the south of the Dorset Downs. Pathways around the town known as “The Walks” follow the remains of ancient Roman Walls and the museum contains many artifacts from Roman finds. The Romans named the settlement Durnovaria, and by the 9th century, Saxons calling themselves Dorsaetas, meaning “People of the Dor”, dominated the area. 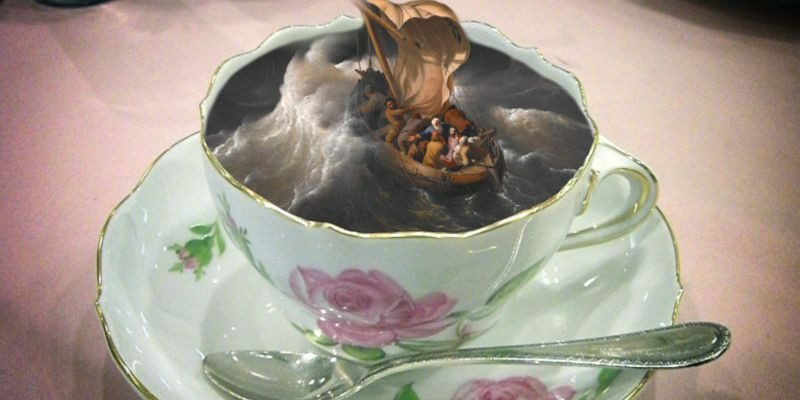 By the 17th century, the town was at the heart of Puritan emigration to America. Local rector John White organized the colonization of a settlement of the same name—Dorchester, Massachusetts. 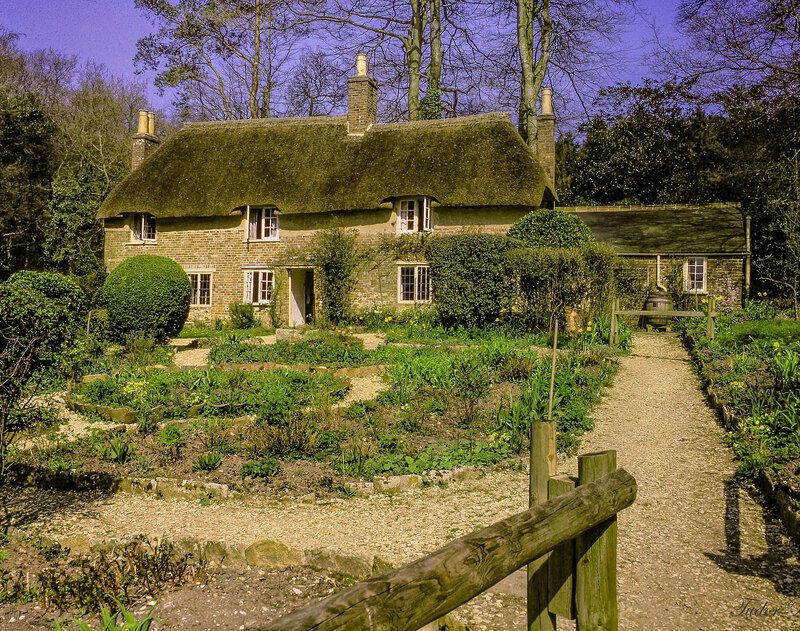 Thomas Hardy’s novel “The Mayor of Casterbridge” is set in Dorchester, with his childhood home just to the east of the town. 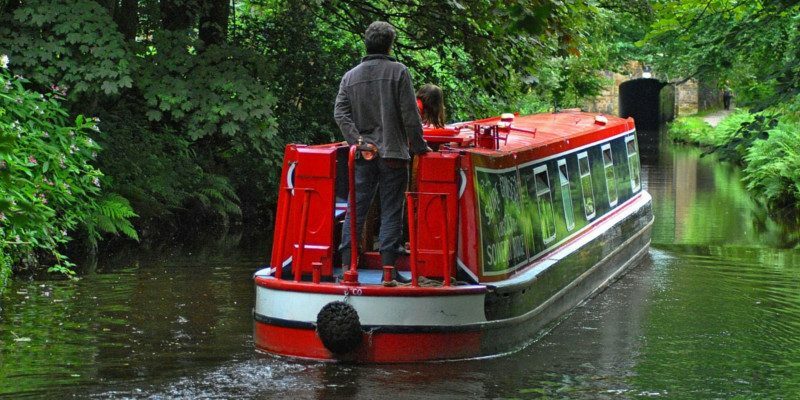 Lying on the edge of the once marshy region known as the Fens and on the banks of the River Great Ouse, Downham Market is about 30 miles north of Cambridge. 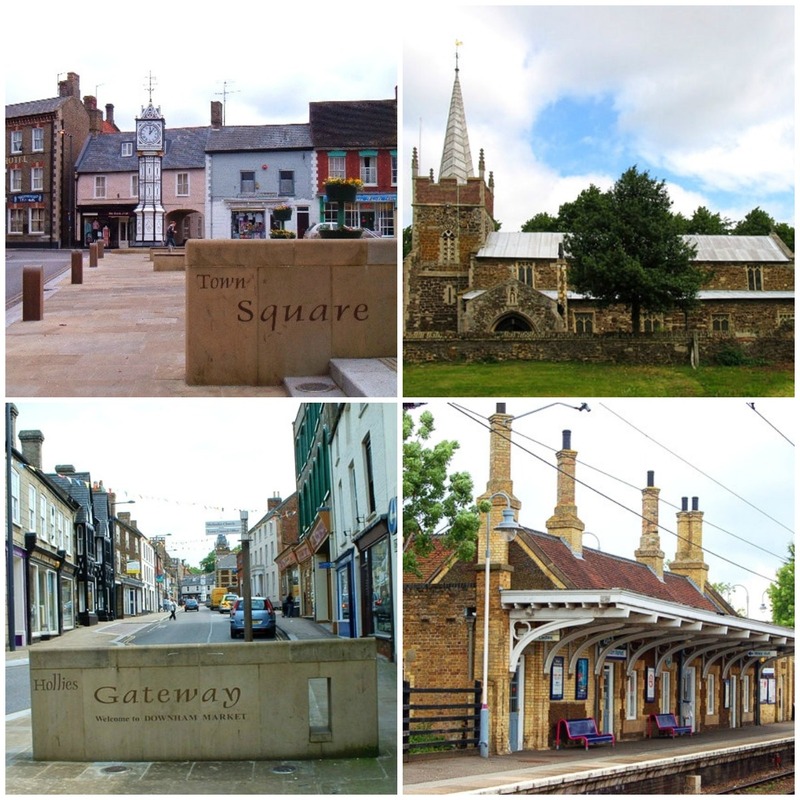 During the Middle ages, Downham Market was famous for its butter market and horse fair. 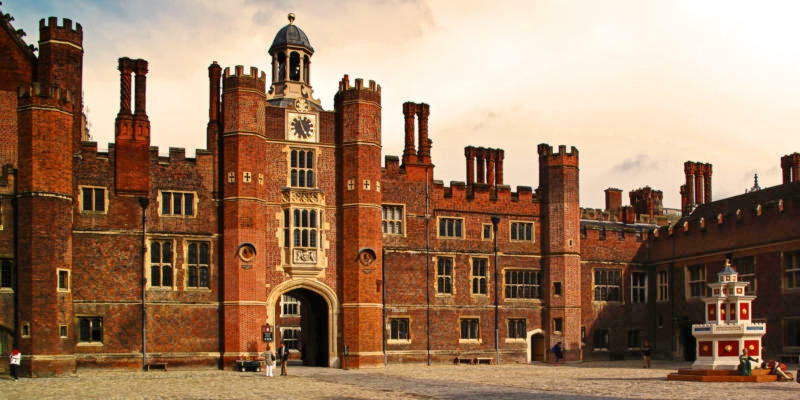 King Charles I hid in the town after the disastrous Battle of Naseby during the English Civil War (1642 – 1646), where the New Model Army of the Parliamentarians almost wiped out the Royalist force, inflicting 6,000 casualties out of 7,400. Buildings of note are the medieval parish church and the Victorian clock tower, dating from 1878. 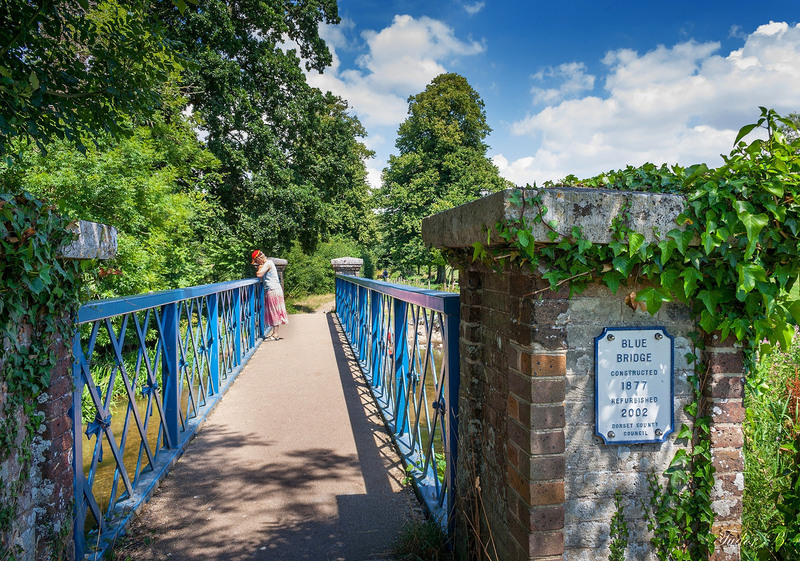 Head towards Canterbury from London and after 48 miles you’ll find Faversham, a beautiful market town next to the Swale—a strip of sea separating North Kent from the Isle of Sheppey. Latin and Old English in origin, the name Faversham means “the metal-worker’s village”, indicating it’s importance as a local centre of trade. Nearby is an ancient British trackway known as Watling Street, which was used by the Romans and the Anglo-Saxons. Watling Street was the site of Boudica’s defeat by the Romans and the southwestern border of the Danelaw. 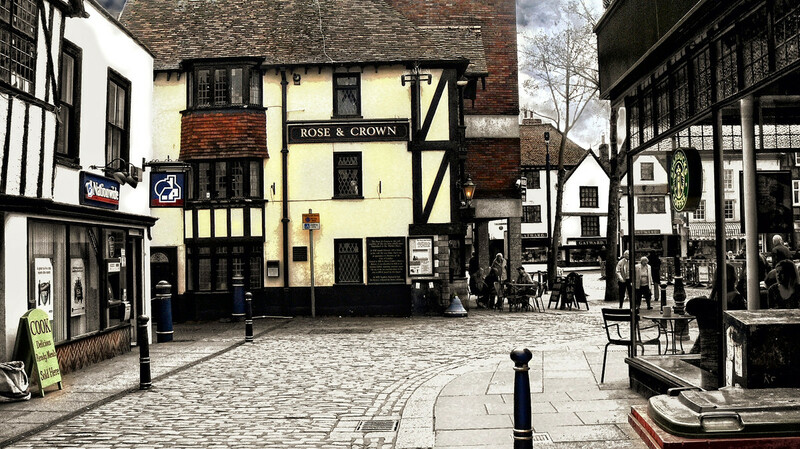 Settled since pre-Roman times, Faversham was mentioned in the Domesday Book—a “Great Survey” of England and parts of Wales ordered by William the Conqueror. Henley-on-Thames is a market town on the River Thames in Oxfordshire. 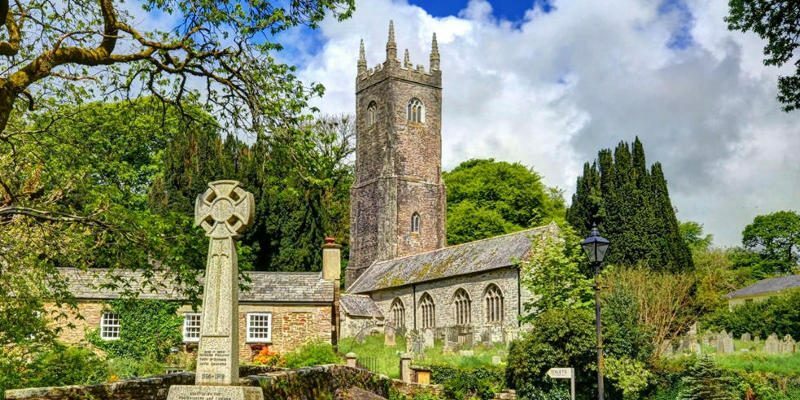 King Henry II bought some land in 1179 and by 1278, the town was described as a hamlet with a chapel. 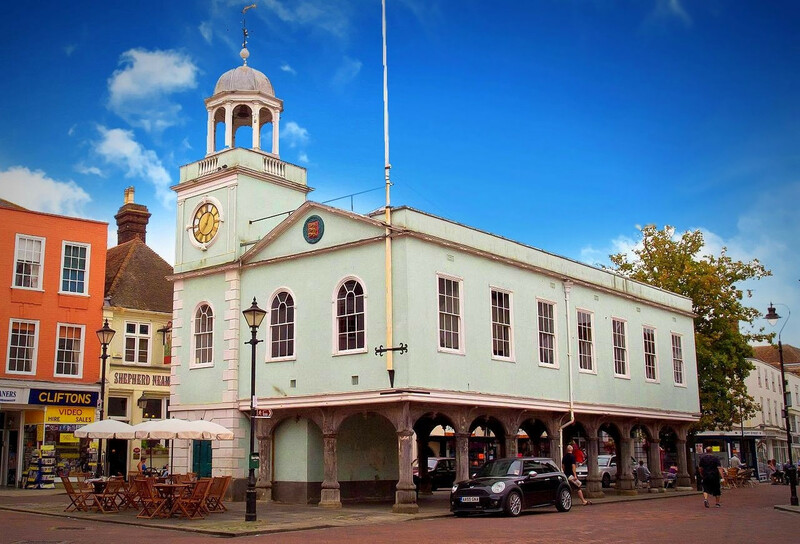 Granted by a charter of King John, who signed the Magna Carta (a medieval “sacred text’ that was an early precursor to the constitution of the United Kingdom), the Thursday market is thought to have been in existence since 1269.
Henley is a world-renowned centre for rowing. 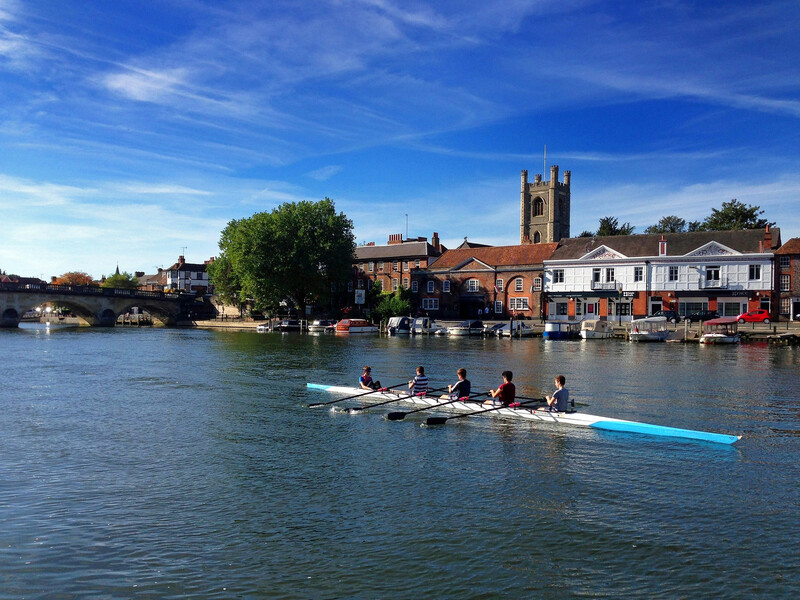 Each summer the Henley Royal Regatta is held on Henley Reach, a naturally straight stretch of the river just north of the town. 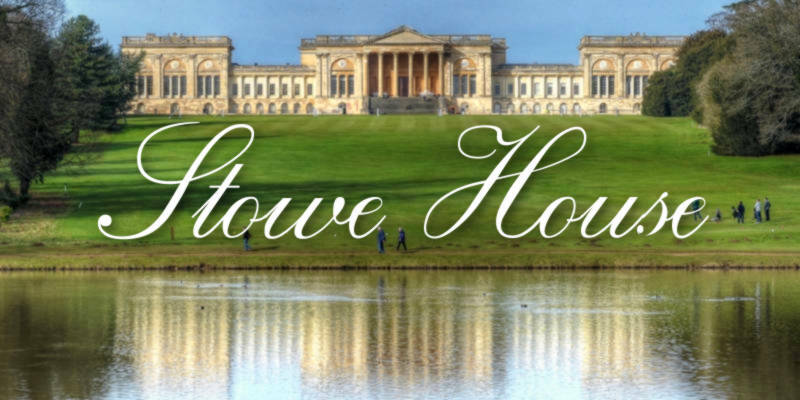 The event became “Royal” in 1851, with the patronage of Prince Albert. 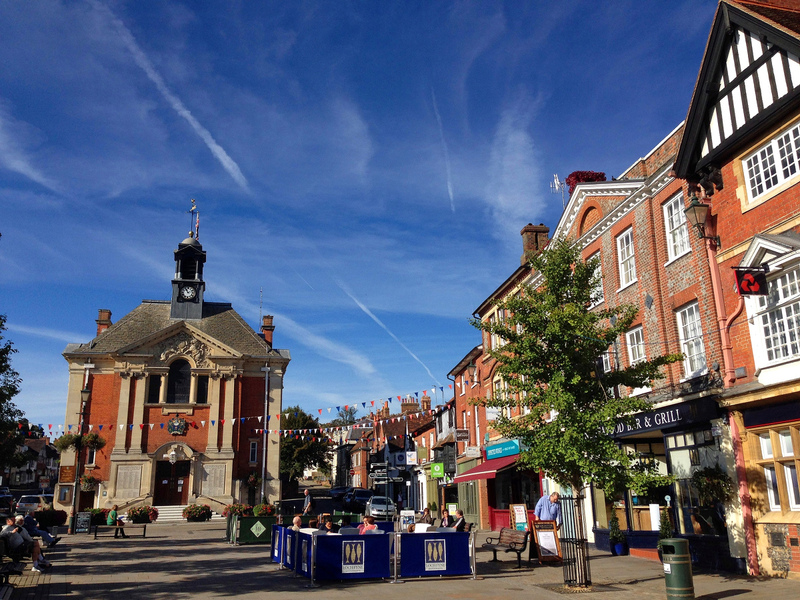 Hitchin is a market town first mentioned in a 7th-century document called the “Tribal Hidage” which lists 35 tribes of Anglo-Saxons. 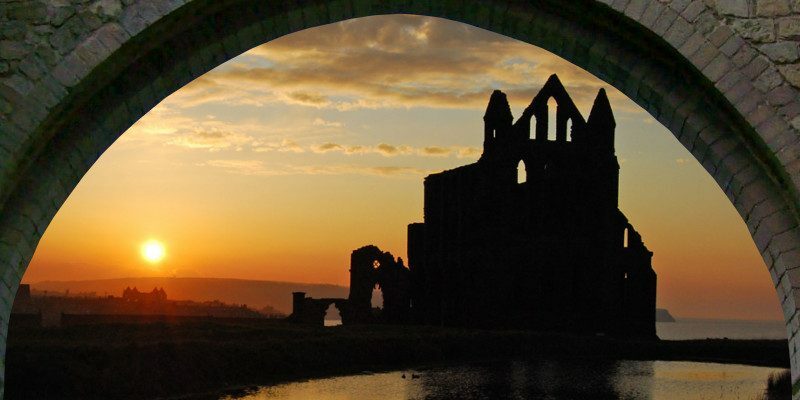 In 673, the Archbishop of Canterbury Theodore of Tarsus, is said to have chosen Hitchen for the “Councils of Clovesho” where Anglo-Saxon kings, bishops, abbots, and nobles met to decide important issues for Christianity in England. The name “Hitchen” is associated with the River Hiz that runs through the town and was at one time pronounced “River Hitch”, although today pronounced exactly as it’s spelled. 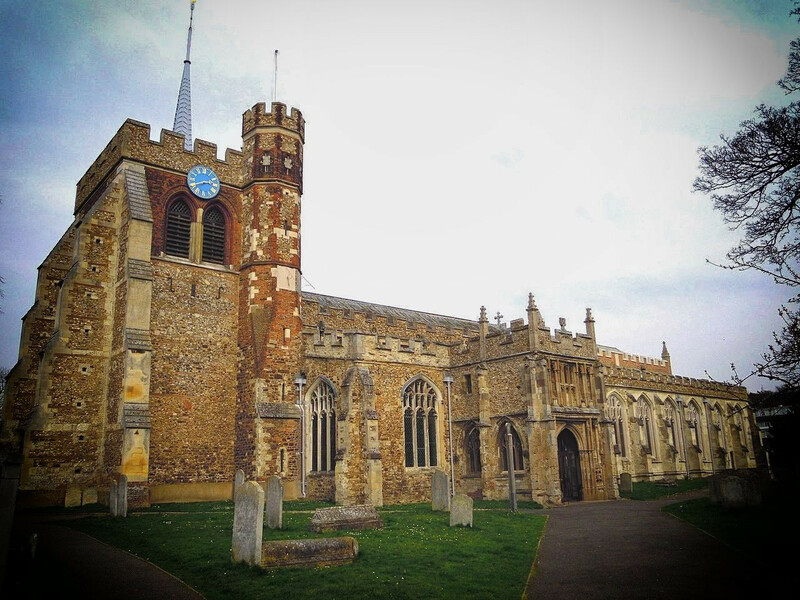 Prospering from the wool trade, the town built the largest church in Hertfordshire—St Mary’s Church. 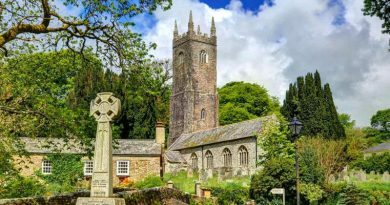 Apart from the tower, which dates from 1190, most of the church was built in the 14th and 15th centuries. 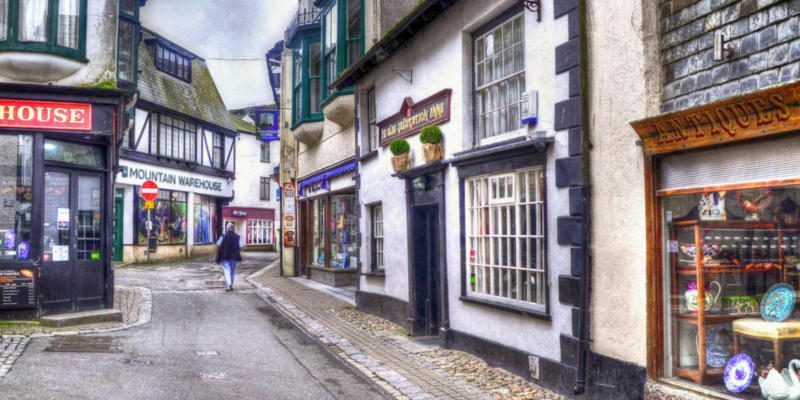 Keswick is an English market town situated in the Lake District National Park. 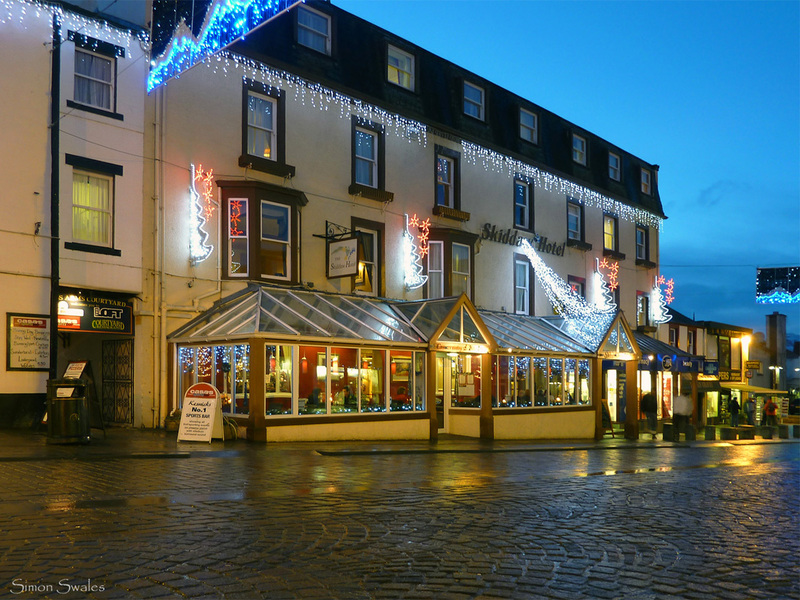 King Edward I granted a charter for Keswick’s market in 1276 and it has been running continuously ever since. First recorded as “Kesewik”, it is thought the Old English name means “farm where cheese was made”. 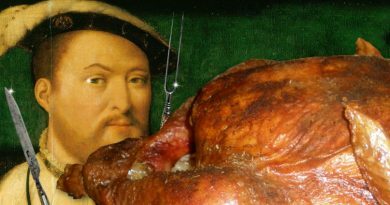 Although in Tudor times. 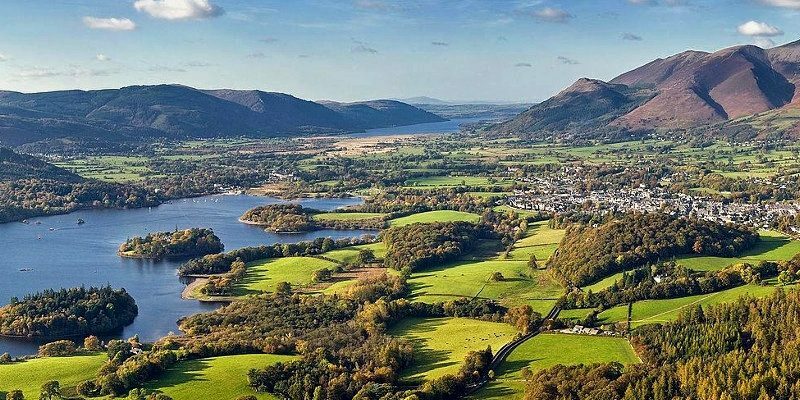 Keswick was an important mining centre, since the 18th century, tourism has been the biggest industry. 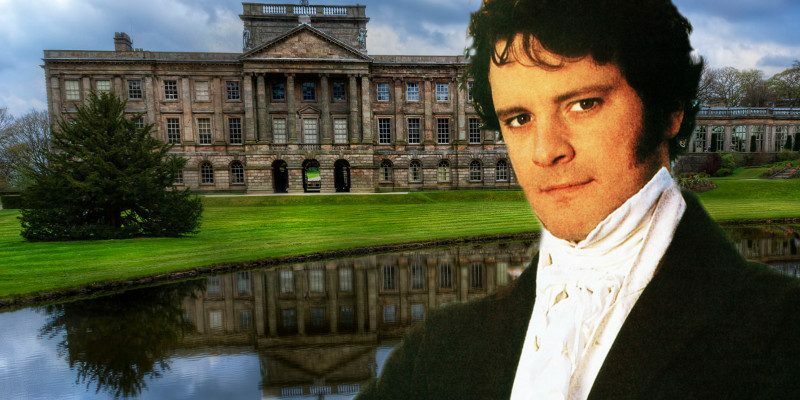 English poets Samuel Taylor Coleridge and Robert Southey together with William Wordsworth from nearby Grasmere helped popularize the scenic beauty of the area. Ledbury is a market town in Herefordshire, lying west of the Malvern Hills. 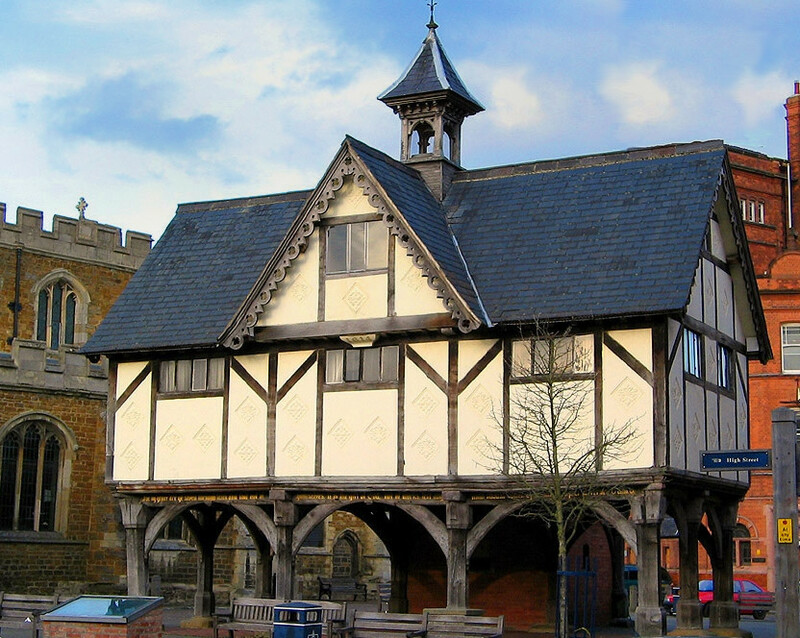 Although the Market Place was established as early as 1122, the Tudor timber-framed Market House was built much later in 1617. Raised on 16 pillars, the upper floor of the two-storey building is thought to have been used for storing corn, wool, hops, and acorns for the tanning of animal hides. 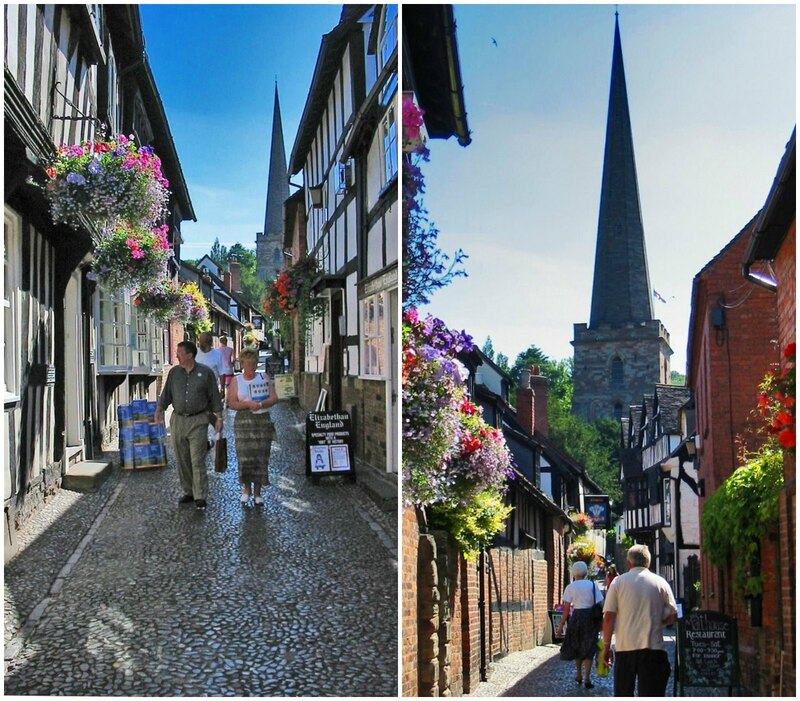 Ledbury itself dates from about 69 AD and was recorded in the Domesday Book as “Liedeberge”, taking its name from the River Leadon and the Old English “burg”, meaning fortified or defended site. 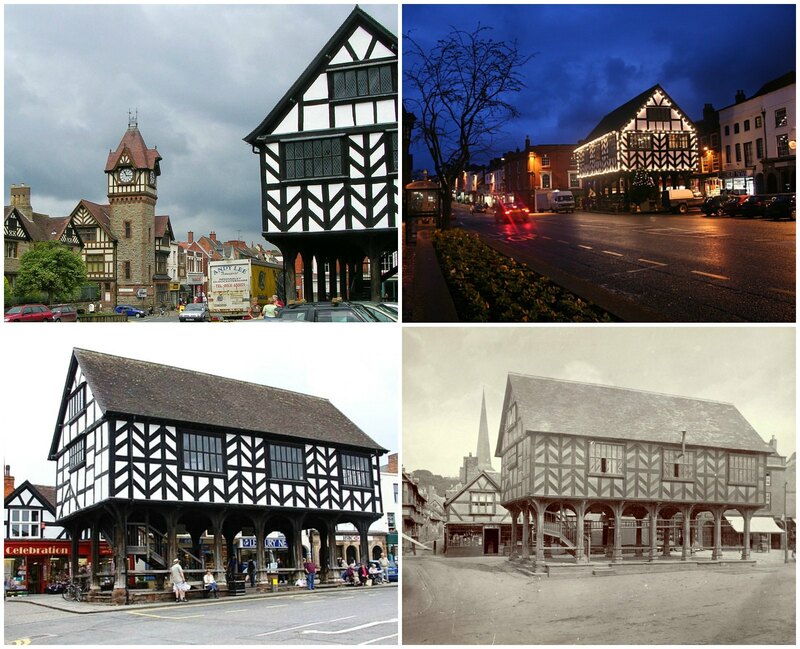 Ledbury was the birthplace of poet laureate John Masefield and poet Elizabeth Barrett Browning. Legend has it that Saint Catherine had a mare and colt stolen from her and saw their hoofprints in the bed of a nearby brook. Following the footprints the horses were safely recovered and the thieves punished by being petrified as “Hoar Stone”. At one time locals made fake hoofprints as souvenirs for visitors. 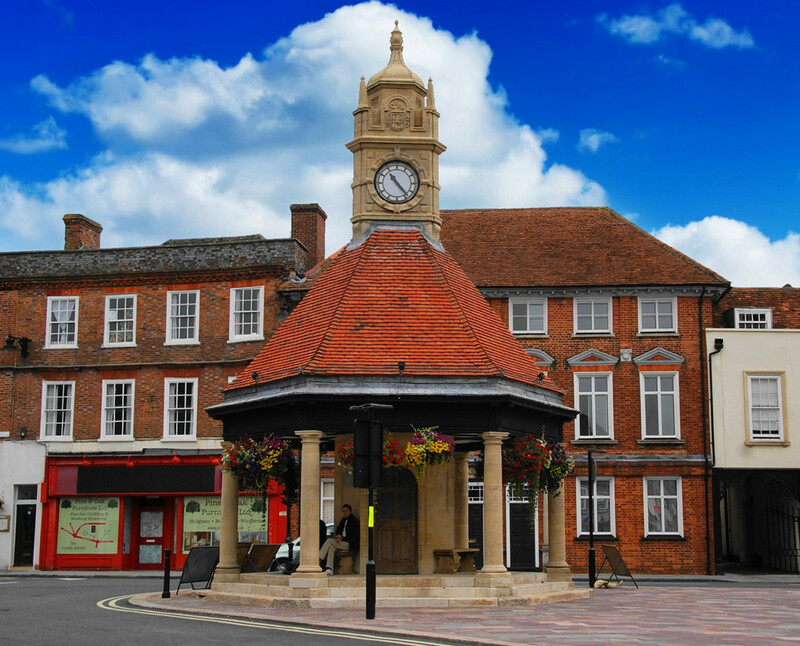 Market Harborough is situated on land that was once a medieval royal hunting forest. 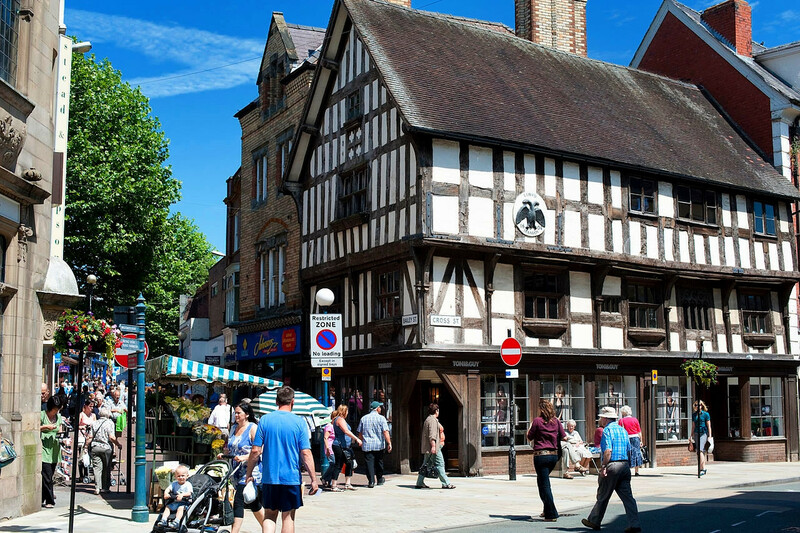 The old market was run from the open ground floor of a small timber building dating from 1614, the upper floor of which was the Old Grammar School. 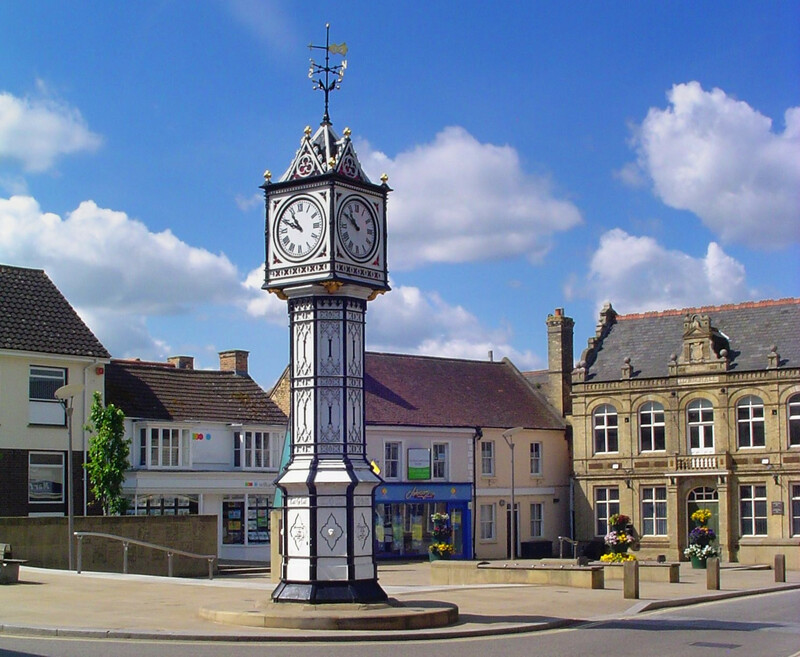 Founded by the Saxons between 410 and 1066, Market Harborough was originally known as “hæfera-beorg” meaning “oat hill”. Established in 1204, the market has been held every Tuesday since 1221. 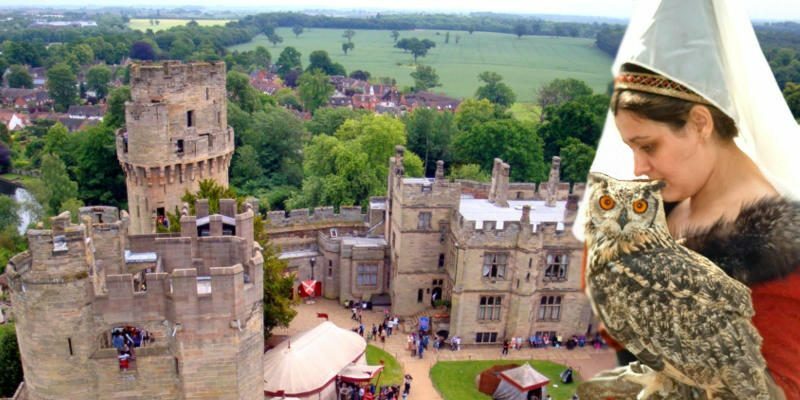 During the English Civil War, Market Harborough acted as the King’s headquarters from where he planned the ill-fated Battle of Naseby. In 1841, a cabinet maker named Thomas Cook walked from Market Harborough to Leicester to attend a meeting of the Temperance Society. During his walk, he had the idea to organize excursions on the newly opened rail line. A pioneer in the tourism industry, he would later found the travel agency Thomas Cook & Son. 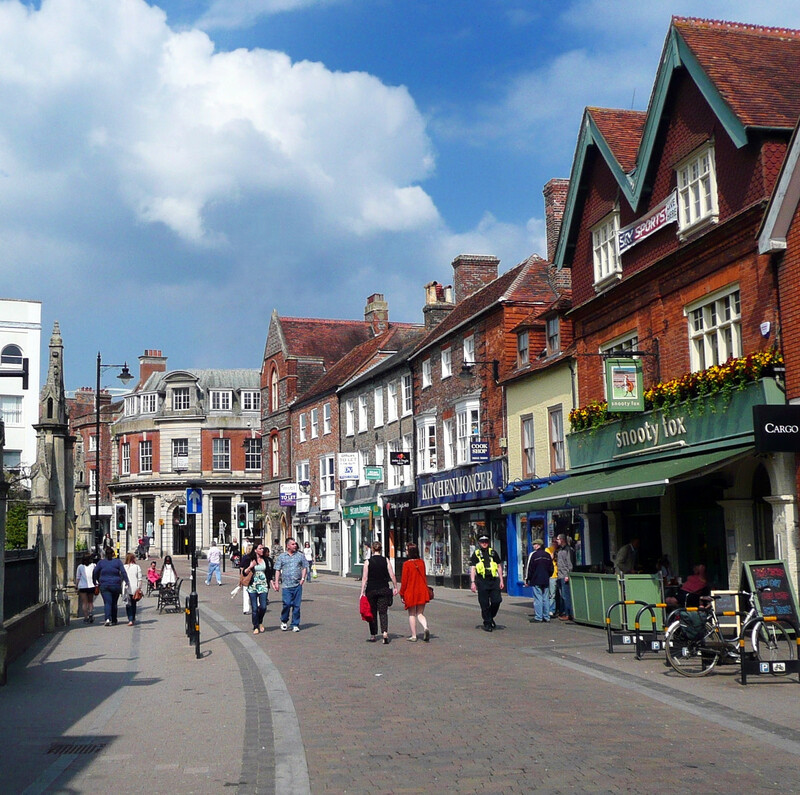 Newbury is a historic market town spanning the River Kennet in Berkshire—located about halfway between the cities of Oxford and Winchester. 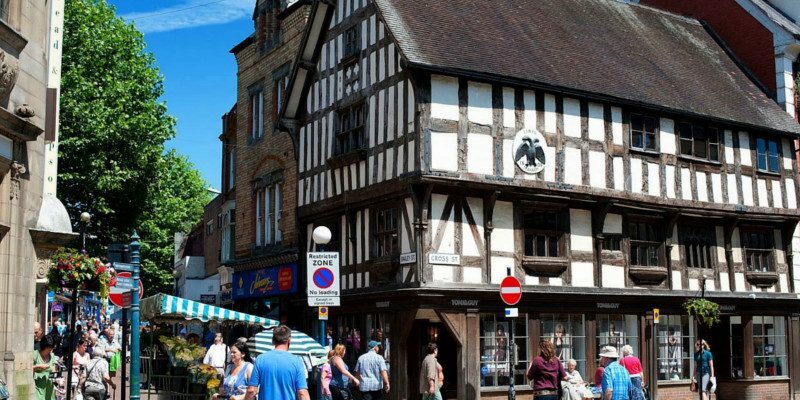 Featuring a rare medieval Cloth Hall and half-timbered granary, it has a wealth of 17th- and 18th-century buildings of special historic interest. 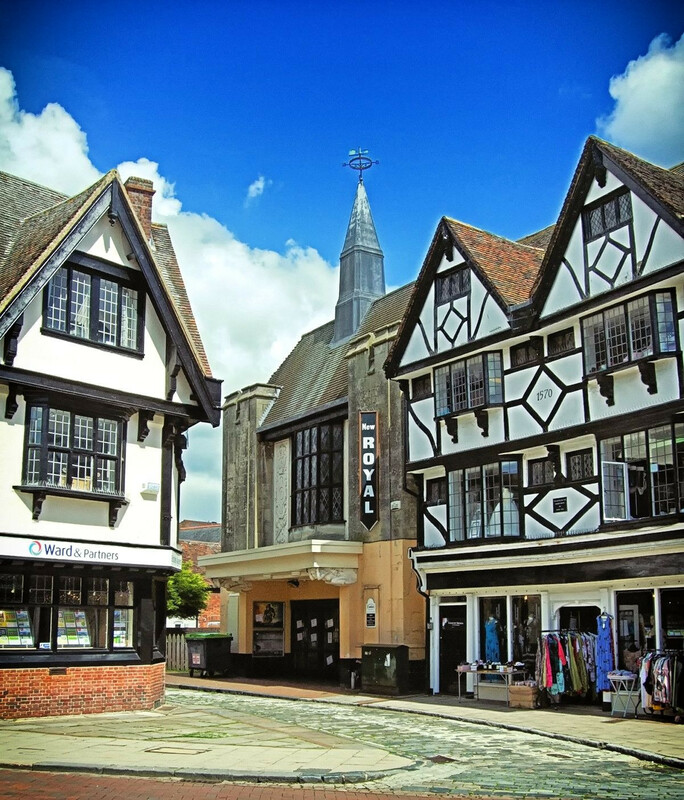 Founded in the 11th century following the Norman conquest, Newbury became an important centre for the cloth trade. John Winchcombe, nicknamed “Jack O’Newbury”—one of the richest and most influential cloth merchants of the 16th century—resided in Newbury and is thought to have owned England’s first factory. 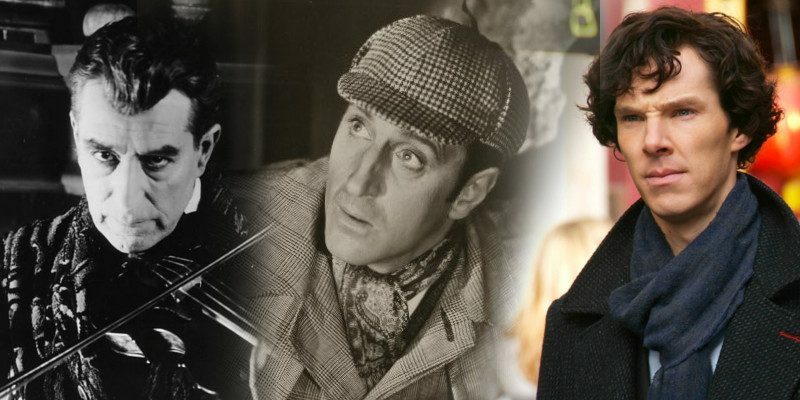 The famous tale of the “Newbury Coat” tells of a bet that a gentleman’s suit could be made in a single day, starting with the shearing of the sheep in the morning. 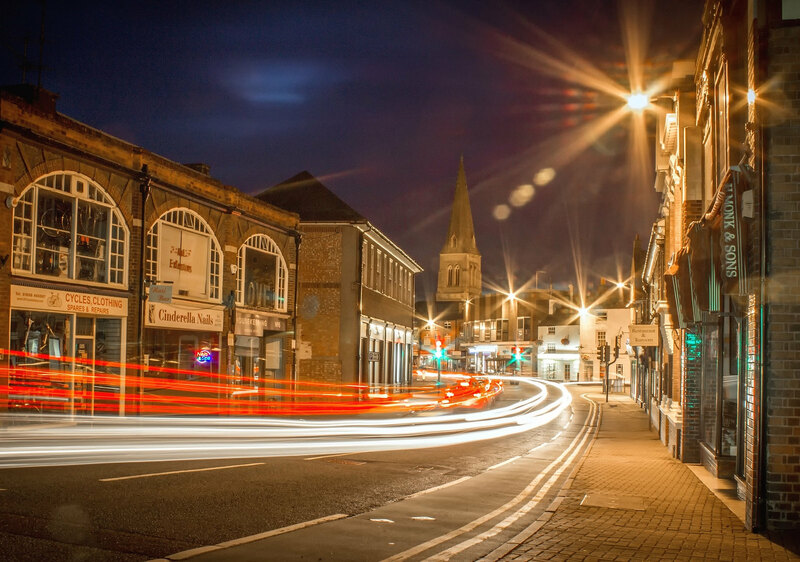 Newbury lies on the edge of the picturesque Berkshire Downs, an area of outstanding natural beauty and is also famous for horse racing, with events having run since 1805. 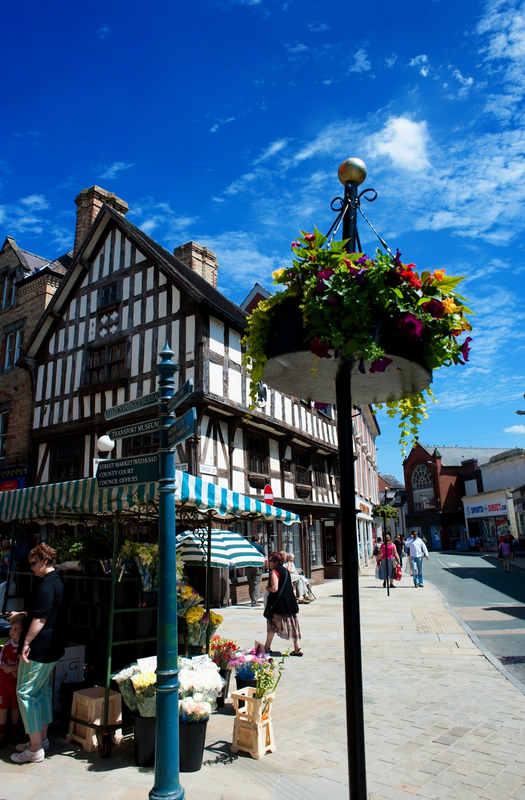 Oswestry is the largest market town in Shropshire and close to the Welsh border. With a story dating back some 3000 years, Old Oswestry has one of Britain’s best preserved Iron Age hill forts. 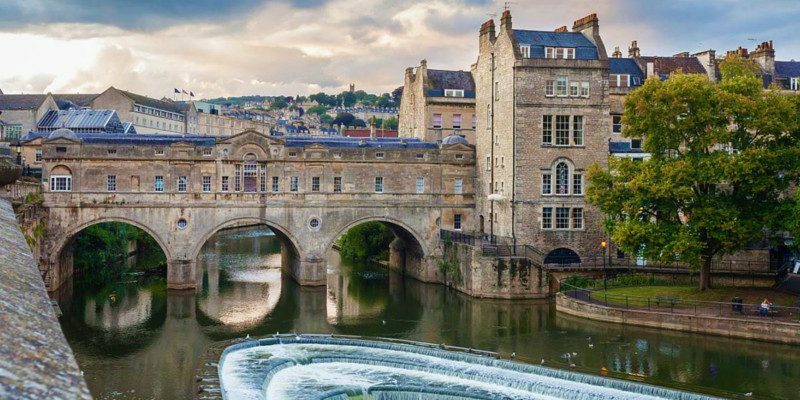 It is sometimes called Caer Ogyrfan, meaning The City of Gogyrfan, the father of Guinevere, wife of the legendary King Arthur. 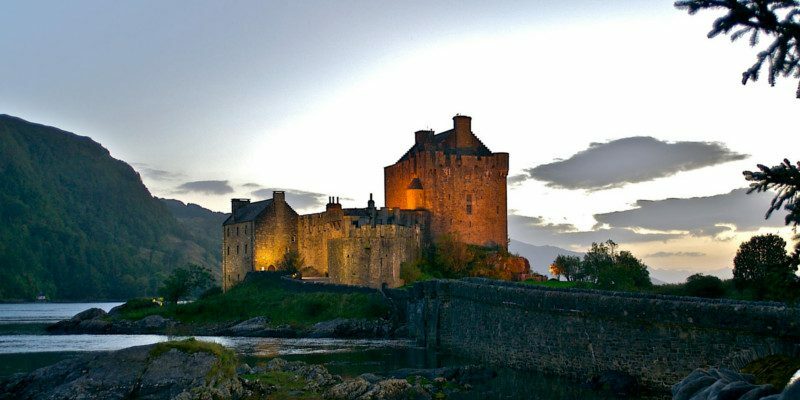 Legend has it that in 642, two Anglo-Saxon kings fought at the Battle of Maserfield. One of the kings—Oswald of Northumbria—was killed and dismembered. A raven carried one of his arms to an ash tree where miracles were said to have been performed since Oswald was considered a saint. And so “Oswald’s Tree” is thought to be the origin of the name Oswestry. 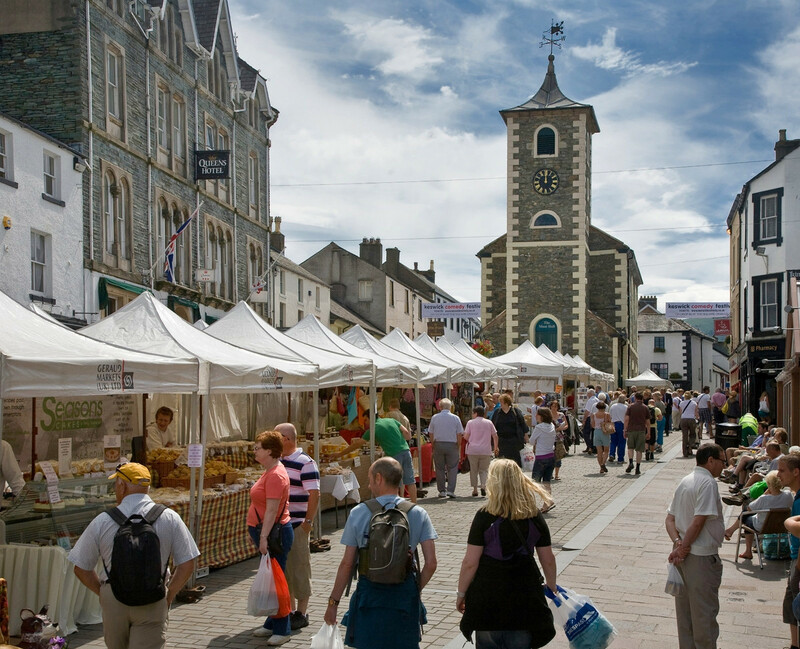 The right to hold a market each Wednesday was granted in 1190 and saw an influx of Welsh farmers, with many townsfolk becoming bilingual.